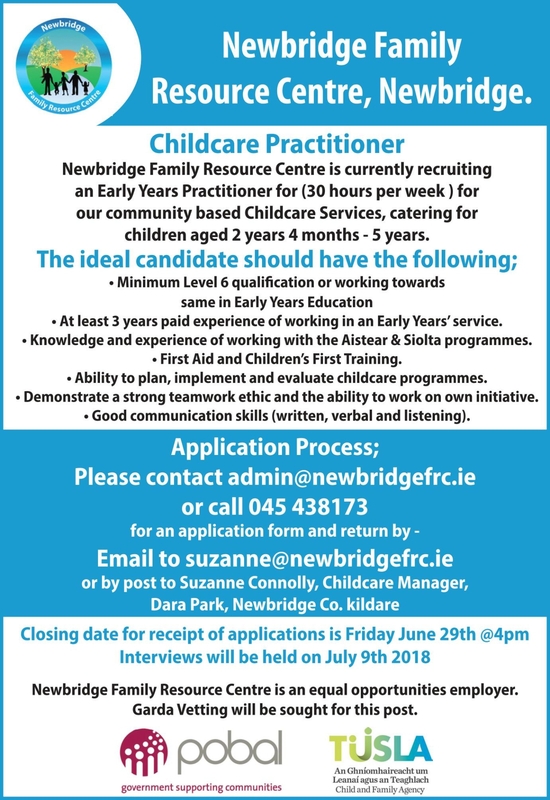 An exciting job opportunity has come up at Newbridge Family Resource Centre. The centre is looking for a Childcare Practitioner for 30 hours a week for its community based childcare services. Check out the details below.